Dr Xavier Bray, MRT lecturer and curator of Goya: The Portraits at the National Gallery, travels to Madrid to discuss the little-known story of Goya’s career and reveal the highlights of the exhibition. You can watch the video here. Until the 10th January 2016, The National Gallery has on display a wide selection of Goya’s finest portraits. The loans come from all around the globe, including portraits of the royal family from the Palacio Real de Madrid and the renowned Duchess of Alba from the Hispanic Society of America. 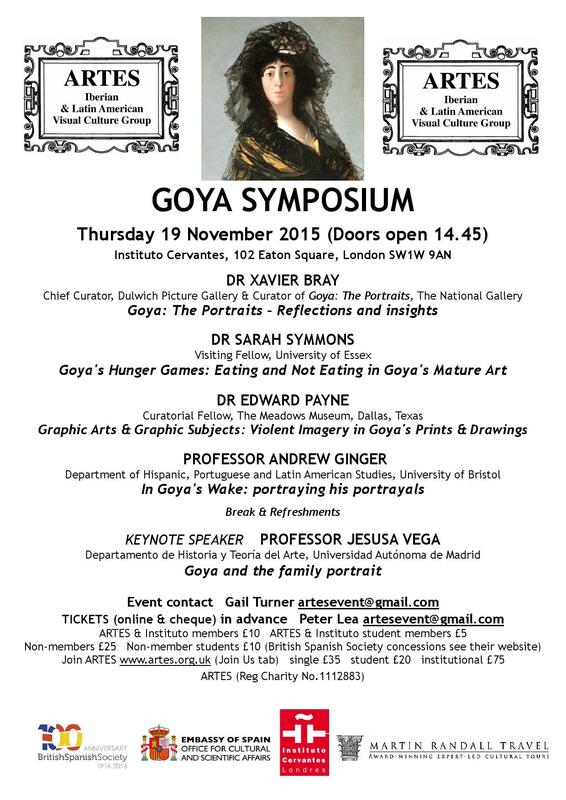 To coincide with the exhibition, the Iberian & Latin American Visual Culture Group (ARTES) are hosting a Goya Symposium on 19th November, with speakers including Dr Xavier Bray, Dr Sarah Symmons, Dr Edward Payne, Professor Andrew Ginger and Professor Jesusa Vega. Tickets are £25 for non-members, and £10 for ARTES & Instituto members. You can travel to the Spanish capital with Xavier on our Art in Madrid tour, from 2–6 March 2016. The tour explores the great galleries of the city, as well as the lesser-known including the Sorolla Museum and San Antonio de la Florida, which houses Goya frescoes.